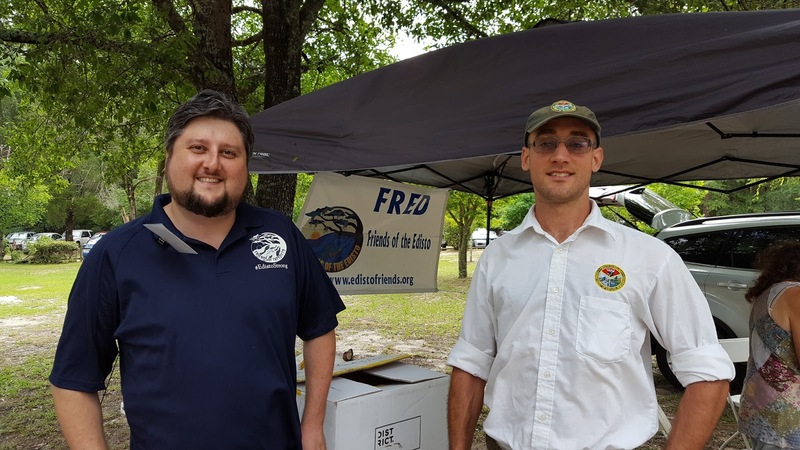 Alex Pellett and Joe Gellici, with South Carolina Department of Natural Resource’s hydrology section (SCDNR) presented updates on the Edisto River, followed by a Q & A session at the recent Blackwater Festival at Aiken State Park. I caught up with Alex before the event and bombarded him with some important questions about the status of our endangered river. Alex is with the Hydrology section of the DNR and has been there only one or two years. 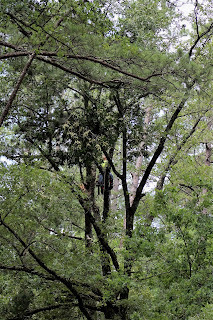 He was eagerly looking for his set-up point at the park while I jogged beside him to chat. He and Joe Gellici, also with SCDNR, would be informing us Edisto River lovers about the modeling they've been doing regarding the Edisto Basin. 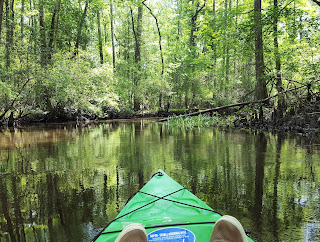 On the Canoe Trail at Aiken State Park when the water is high. 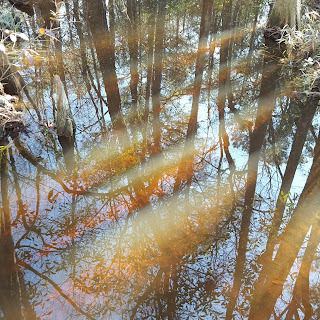 On the Canoe Trail at Aiken State Park when the water is low. "There's computational analyses," he began as we walked to the pavilion. 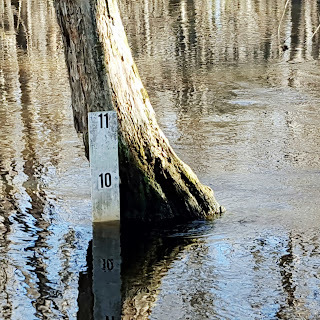 "We've got gauge data that the USGS collects at 14 spots on the river." Pellet came on board the DNR to help figure out how to utilize that data, a very tricky endeavor. Some gauges have shorter records than others, so data analyses have to include other records to extend the short record stations. SCDNR needs to scientifically figure out what the natural flow of the Edisto River would be. In perfect circumstances. And in today's circumstances. A lot of these gauges are located in places where human withdrawals and various impediments affect the natural flow. 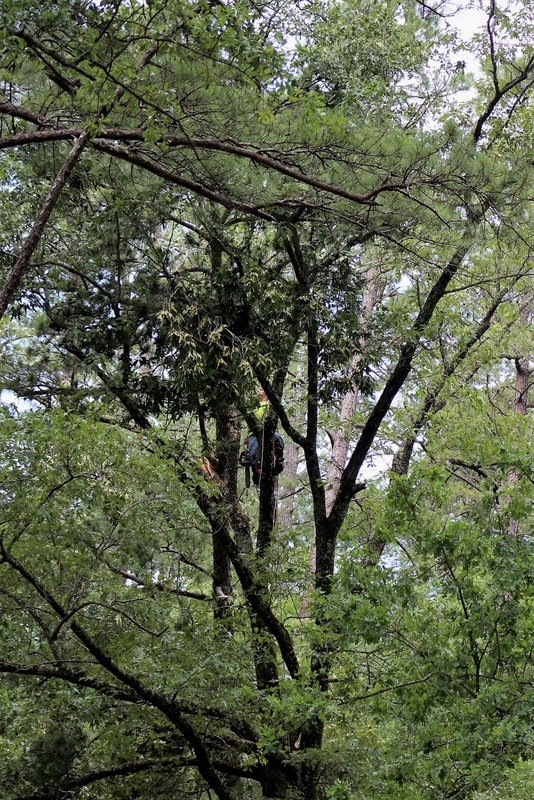 SCDNR has to smooth out those affects. 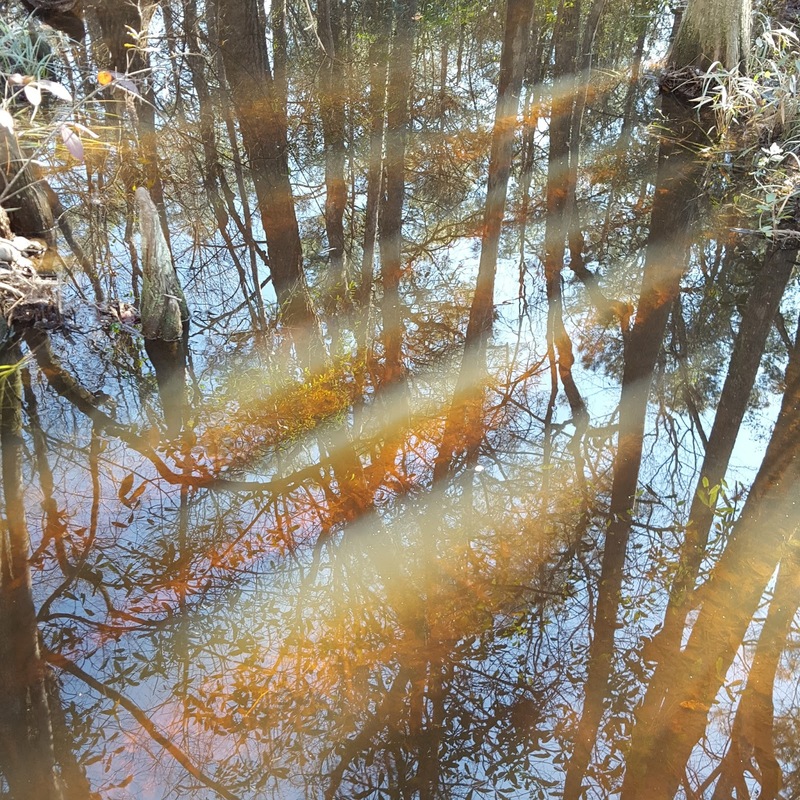 "We've got some of that data when people recorded what they were taking out of those streams, and we want to find out what the flow would have been if they weren’t doing that. That’s our natural flow regime. We call that the 'Unimpaired Flow.' And we extend that in time using the other gauges we have. We can only go back as far as the first gauge in the basin." And then there's the next step and this is where it gets more challenging. Pellett continued, "What would the flow be at other places in the Basin? Because when someone wants to put in a new withdrawal on a stream, what if that stream doesn’t have a gauge on it? How do we know how much water they can take without depleting the natural resource?" That's what we've been fighting for. 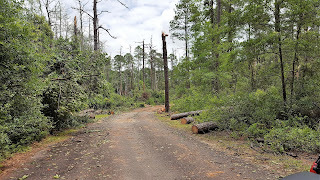 So I asked, of course, is this something DNR started doing after the water regulation was questioned? 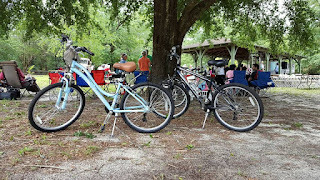 Meaning, after the potato farms started eyeballing the Edisto. 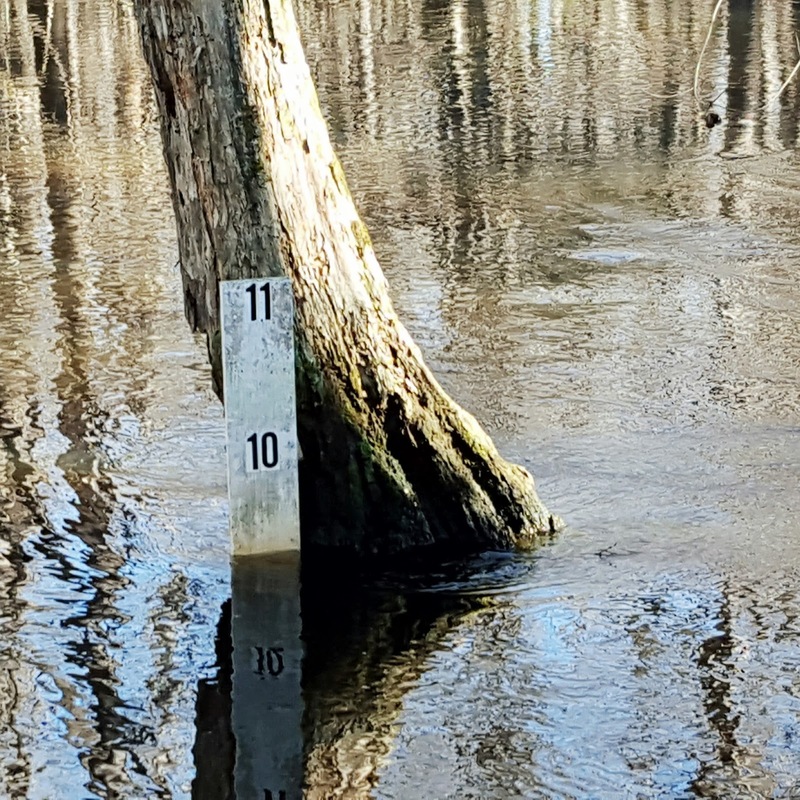 After the historic SC Flooding, I saw the river at 9.5 feet at Aiken State Park, the highest I've ever seen it there. 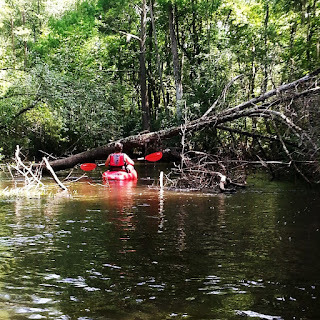 It flooded the canoe put-in dock, it was wonderful. Senator Nikki Setzler also spoke with me prior to the Blackwater Festival. Setzler has been working with FRED and other Edisto River interested parties right from the beginning. He chairs the sub-committee of senate finance that funds the DNR and he works very closely with DNR, giving him an extra insight into it all. 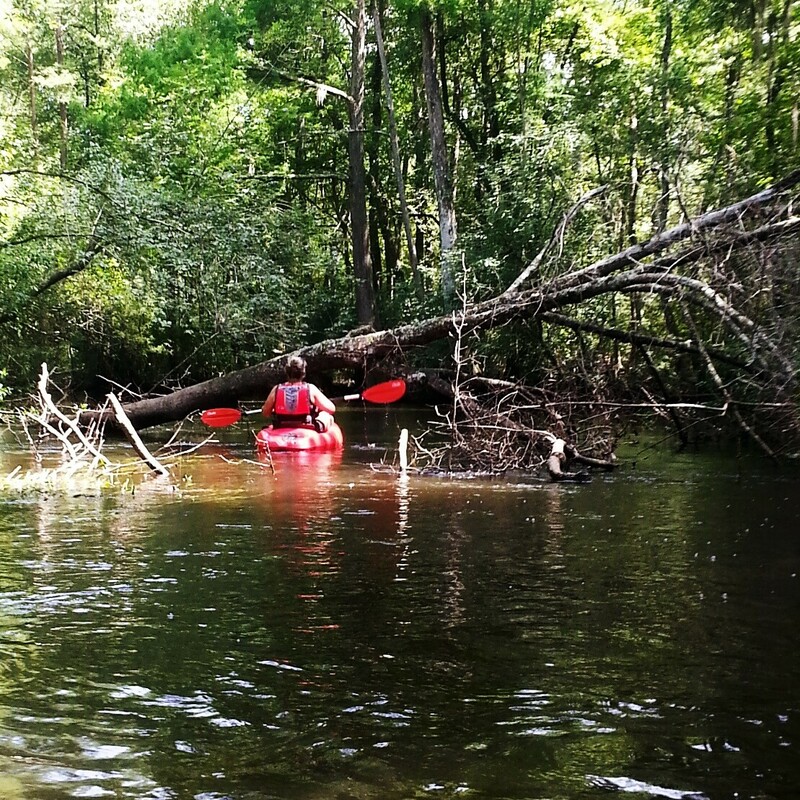 “We need to protect our natural resources and we particularly need to protect these rivers," Setzler said. 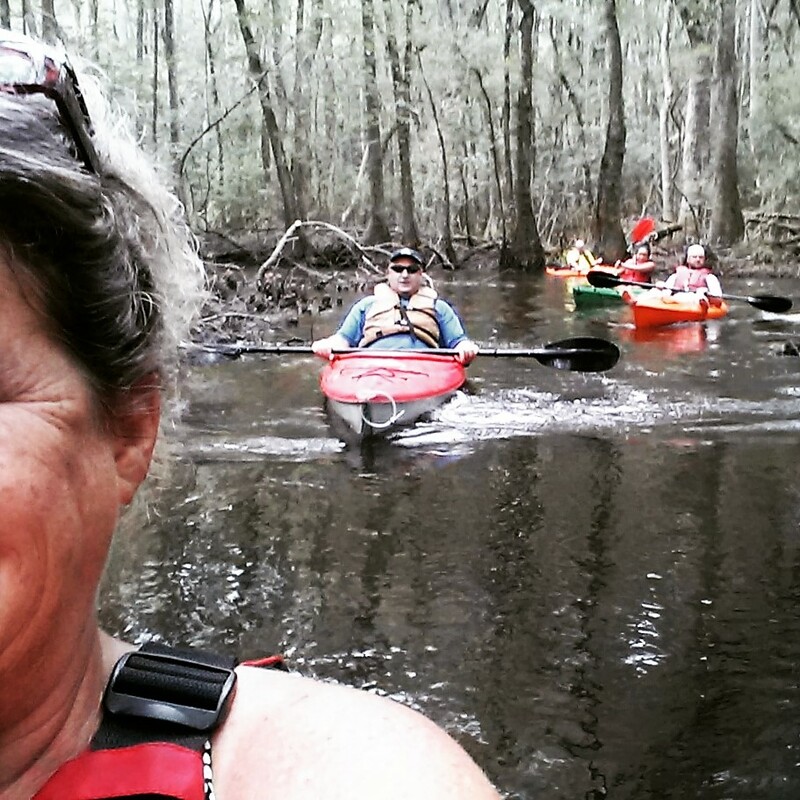 "I’ve been a supporter of the Edisto River and I’m here to continue to do whatever I can to help support the Edisto River. We’ve gone out of session until January, but I think we are going to look at the water studies to see about the levels of the water and what can be withdrawn etc., dealing with the large farms." Setzler and Representative Bill Taylor have worked tirelessly to help the Edisto River. 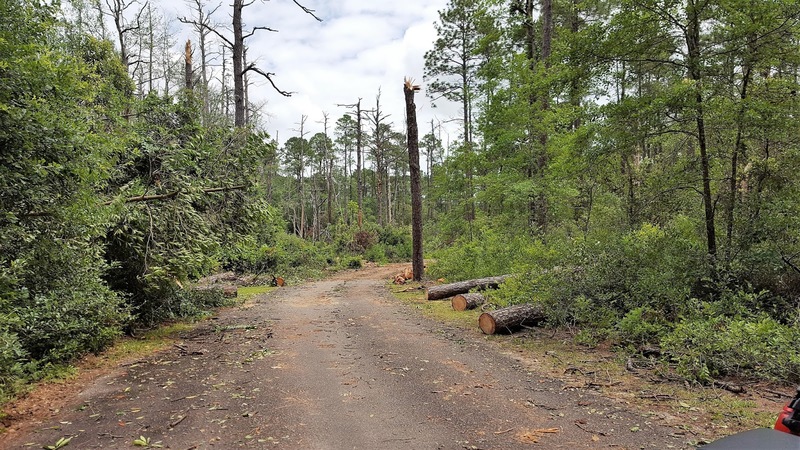 Aiken State Park had suffered tremendous damage from a storm that passed through the day before the Blackwater Festival. 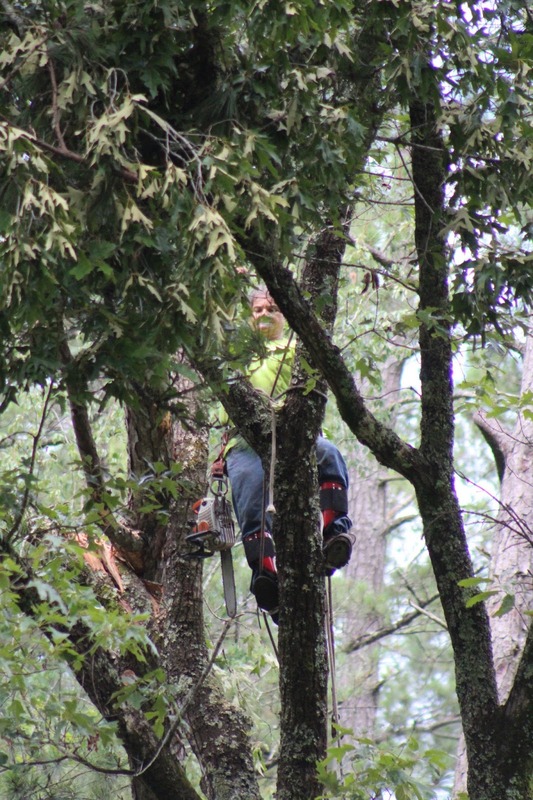 Craig's Tree Service out of Warrenville was helping with park clean-up in other areas of the park. Isn't he cute up there? I was so glad I had my 300mm lens.